Save 18% on our best flexible rates when you stay 5 nights or more. Rates include WiFi and daily buffet breakfast. This exclusive offer has a 72 hr cancellation policy. If cancelled within 72 hrs a one night room and tax fee applies. General Policy: Guests must be at least 18 years old to check in. Pet Policy: Pets are allowed on request. Charges may apply. A non-refundable pet fee of USD 150 (plus taxes). 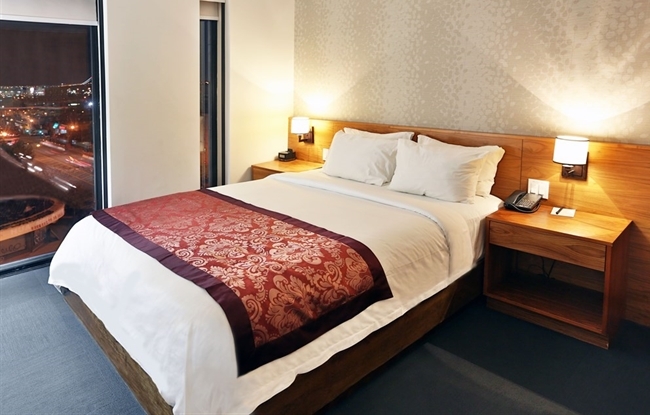 Our Deluxe King Rooms SkyLine View are primed for a comfortable and stylish stay. Enjoy a restful night’s sleep on your plush king bed, watch your favorite shows on the flat-screen TV, or connect to free Wi-Fi and get some work done in the spacious work area. This room offers 200 square feet of space. Traveling with a friend or colleague? Our 200-square-foot Deluxe Double Twin Room is cost effective, yet still exemplifies The Parc Hotel’s contemporary comfort and modern style. 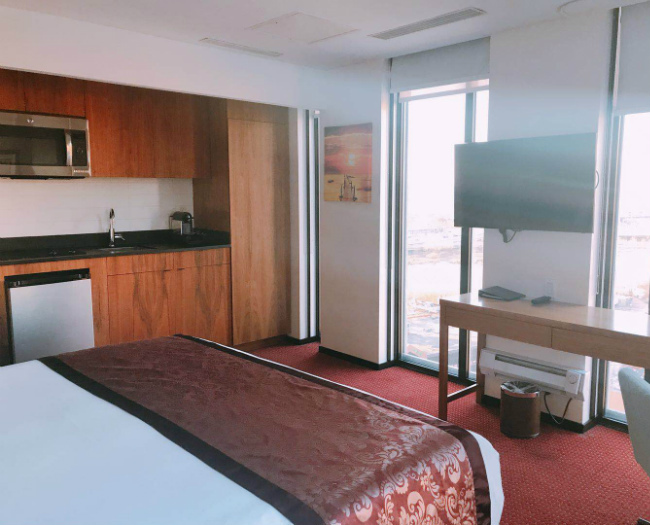 This room includes two twin beds and all our renowned room amenities, plus breathtaking views of the Manhattan skyline. 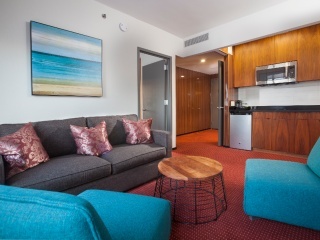 Indulge in 250 square feet of modern space in our Elite King Studio. This room features fantastic views out of floor-to-ceiling windows, a plush king bed, and kitchenette with all the necessities. Also this room is equipped with a roll-in shower. Plan on staying a while? 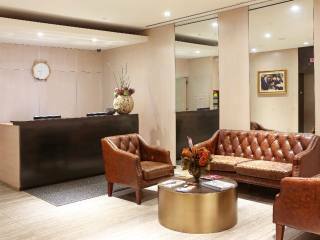 Our Elite Queen Suite is designed to make long-term stays relaxing and productive. Spread out in 350 square feet of space with separate living and sleeping areas featuring one queen bed, sitting area with sofa and chair, kitchenette, and more. 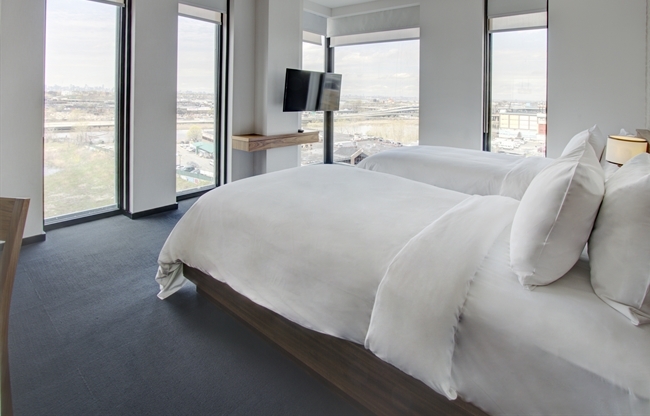 The floor-to-ceiling windows provide plenty of natural light and great views of the city. Also this room is equipped with a roll-in shower.